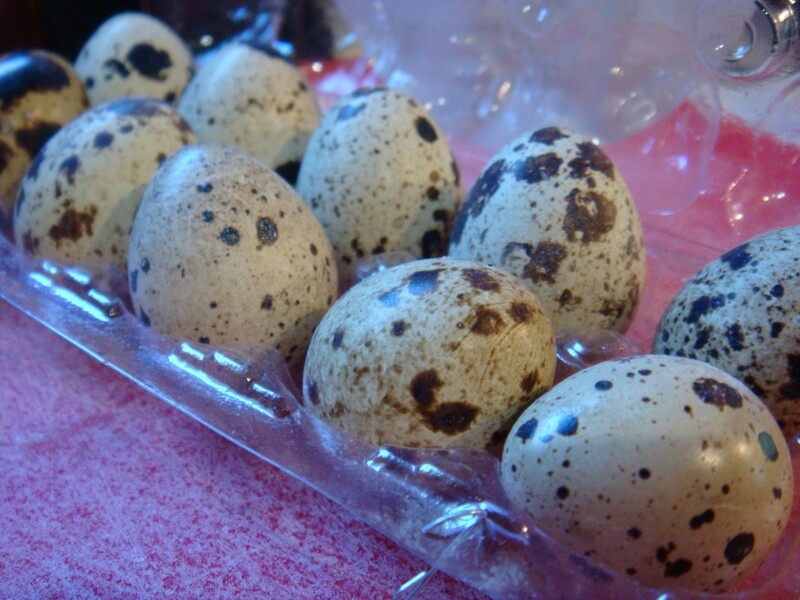 Well, after yesterday’s post, I had a hankering for quail eggs. When I was at Russo’s Market this morning I checked and sure enough they had them. I picked up 2 dozen, one for me and one for a friend from the UK who has had a hard time finding them here. On an interesting side note, the Russo’s packaging actually had the nutritional information printed about these eggs. Each egg only has 14 calories (plus 1g of fat and 1g of protein). I found this kinda funny! But what to do with them? I thought about this on the drive home. I was sorta hungry, so I would definitely need to make a few of them. 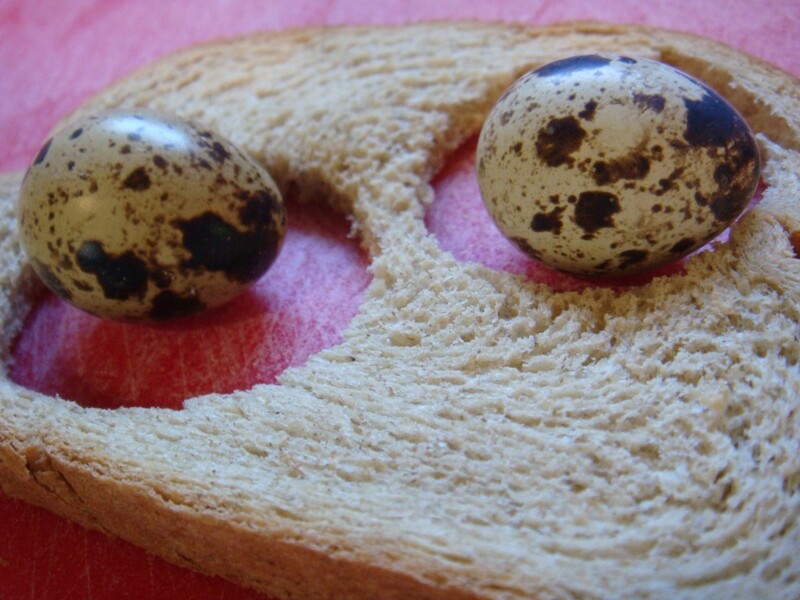 Then it hit me… a simple solution would be quail eggs in a basket. 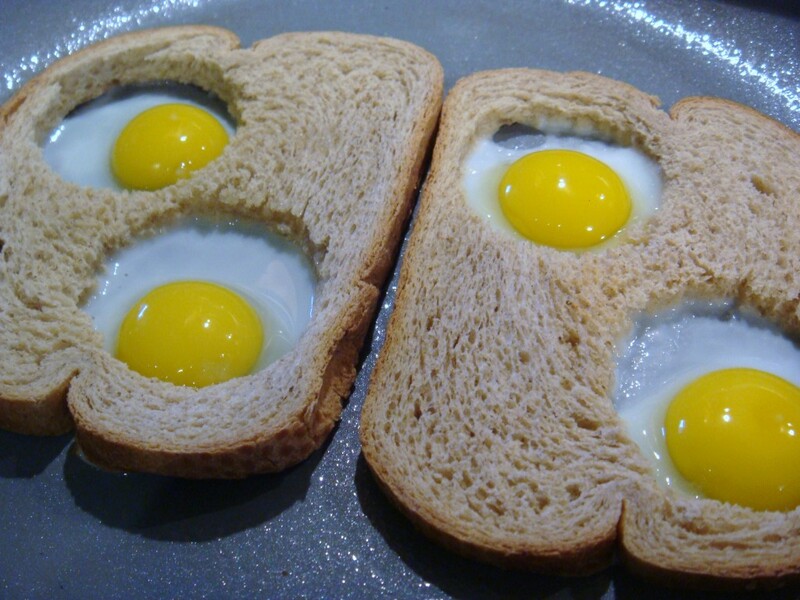 Eggs in a basket are made by cutting a hole or a shape into toast, a waffle or using a bagel hole. 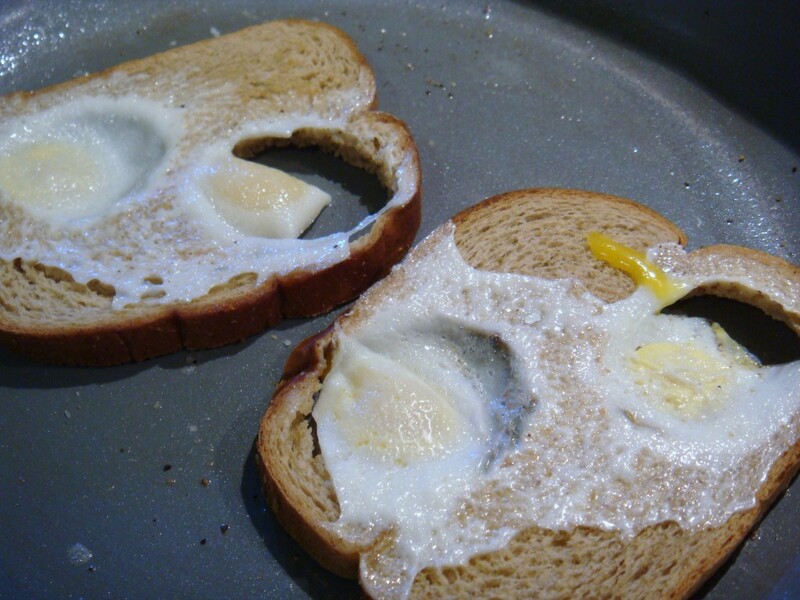 You then place the bread in a fry pan and break the egg directly into the hole — “frying it into place”. I knew the holes I made would need to be small… because these eggs are TEENY. 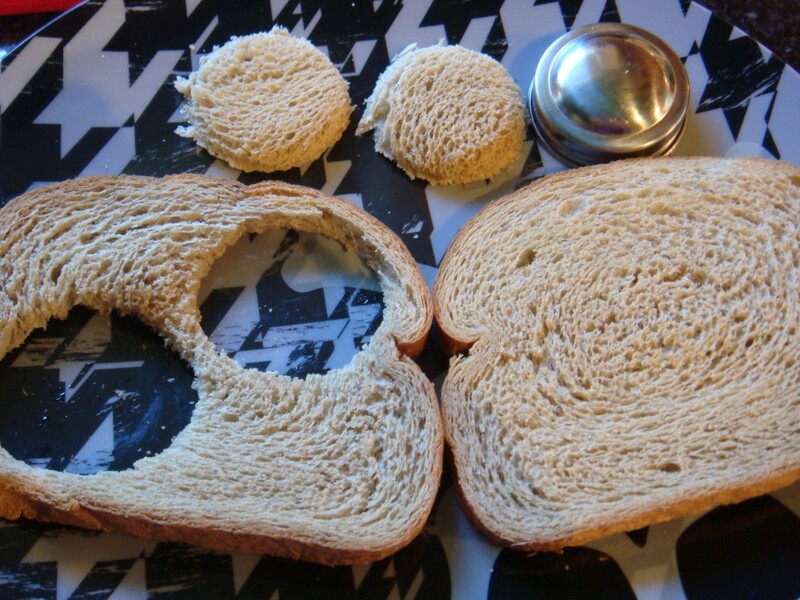 I decided to use the lid to a spice jar, and cut two holes per slice of bread… figuring 4 eggs should do it for me. The answer? NO. These eggs are so little, that they didn’t even take up the space made by the lid. I wasn’t sure I’d even be able to flip them without destroying them… as two of the eggs weren’t even touch the side of the bread. I tried… with varied success. One egg in each piece of toast made it; one egg didn’t. It was very clear that next time I need to use one piece of bread and place two eggs in each hole. That will be perfect. 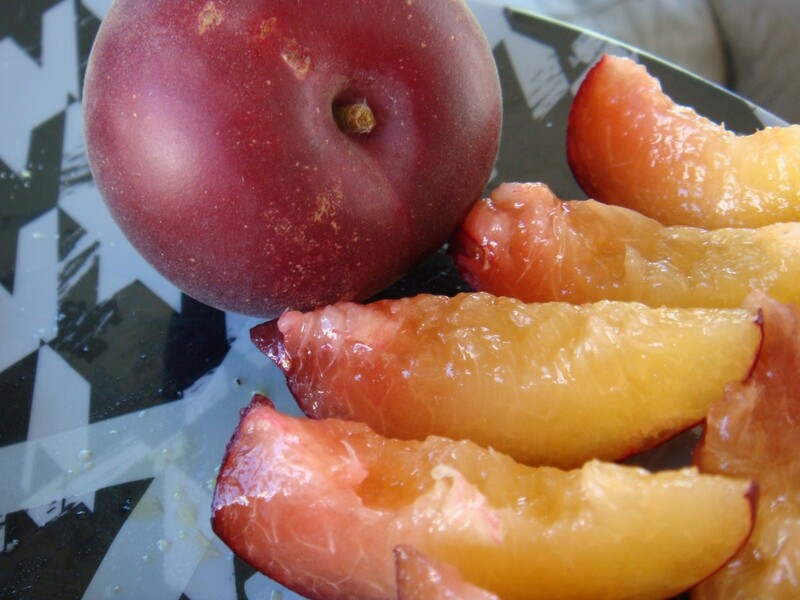 I seasoned them with a little salt and pepper and served them with a black velvet apricot sliced up (also from Russo’s) which was divine.